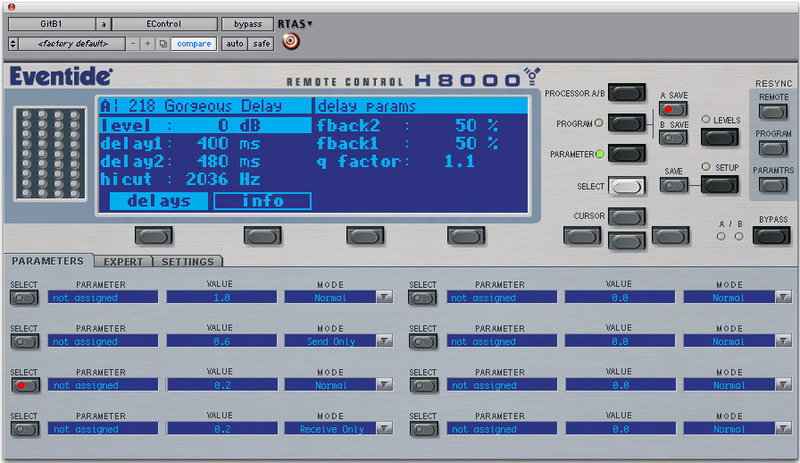 E-Control, MIDI Plug-in from Eventide. Eventide has released E-Control, a plug-in that will let you control Eventide outboard gear within Pro-Tools. The E-Control RTAS plug-in provides a deeper level of integration, allowing ProTools users to more easily take advantage of the thousands of extraordinary effects found in Eventide hardware boxes. By bridging the divide between outboard processors and desktop workflow, E-Control provides Pro Tools users with a cost-effective and intuitive way to get the most from Eventide outboard processors. It combines unfettered access to the vast universe of effects heard on countless hit records over the past thirty seven years with the convenience of multiple parameter control automation, preset change, and instant recall from within the session. 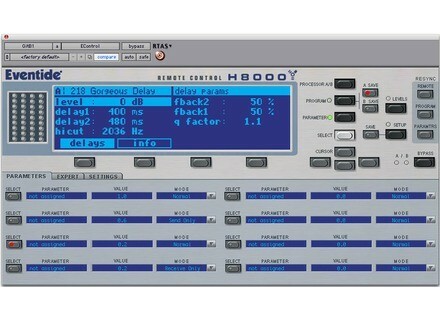 The E-Control plug-in for ProTools is scheduled to be released to a public beta on June 30,2008 and will be available for $199 on September 1, 2008. Any customer who has purchased a new Eclipse, H7600, or H8000FW from September 1, 2007 through the release on September 1, 2008, will be entitled to E-Control at no charge. Ueberschall Minimal Electro Vibes Ueberschall Introduces Minimal Electro Vibes, developed for their total fidelity Nouvelle Series. Erik Wollo Wollo Voyager Erik Wollo has announced the release of Wollo Voyager, a VST software synthesizer for Windows that is said to deliver rich, dense and spacious sounds that offer vast creative potential.